In part 1 of this series, I covered how to make the most of your final school years in order to gear yourself up towards work. In part 2, I looked at developing your CV, and marketing yourself towards jobs. In part 3, I want to look at the interview process, whether or not you should disclose your autism diagnosis and what other options exist to help kids on the spectrum find employment. If you keep applying for jobs, eventually you'll get an interview. If you're applying and not getting any nibbles at all, you need to talk to some new people (people outside of your immediate family). If possible, talk to people in similar jobs to those for which you're applying. They'll help you tweak your resume to get noticed. 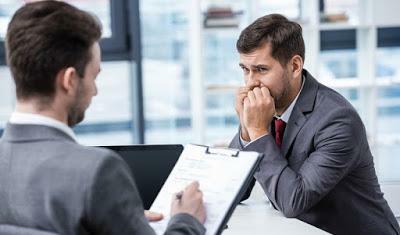 A little preparation can take a lot of the discomfort out of an interview. Re-read the job advertisement several times, highlighting key phrases (like "works without supervision" or "attention to detail". These phrases give you key insights into what the prospective employer sees as important. You'll want to mention them during the interview. Specifically, you'll want to be able to mention examples from your life where you've needed to demonstrate these particular skills. Work out transport. If you're taking public transport, make sure that you can arrive in the area (not at the interview) at least 30 minutes earlier. You'll want to be 5-10 minutes early for the interview but you'll want to appear casual, unflustered and certainly not as if you've been running to meet a deadline. If the interview is in a busy area, like a city, you can safely plan to arrive there an hour early as there will be plenty for you to do beforehand. Work through possible interview questions with your family -- or even better, with people you don't know as well. After all, you'll need to answer to strangers. You'll find lots of sites on the internet which go over the most common interview questions. Research the company you're applying to work with. In particular, make sure that you've looked at their website and that you can say what they do. If you can name one of their products or mention an award that they've won, that's even better. You might not need that information but it helps to know. If they have an annual review on their site, it's a great resource as it will often give you an idea of their achievements, direction and corporate structure. In smaller companies, knowing who the CEO is can help -- if you find them on the Annual review, check twitter to see if they are tweeting as this will give you an insight into their interests. Practice shaking hands with your family. You'll need to feel comfortable with the right hand. If you have have trouble remembering which hand, wear a watch and then simply remember if you're shaking with your "watch hand" or not. There's a lot of rules for hand shaking and many people get it wrong. Watch some YouTube videos on the process and practice for both genders. Pick out your clothes carefully. They should match the general requirements of the job, meaning that for a trade job, you should turn up in sensible shoes, jeans and a reasonably nice shirt. For an office job, you'll want a shirt and jacket with neat pants and shiny shoes. You may also need a tie. When you're selecting your outfit, get someone else's opinion to make sure that it looks good on you. You'll also need to make sure that you feel comfortable because interviews are sensory hell enough without the addition of scratchy, uncomfortable clothes. If you're buying new clothes, you'll need to try them on first because you might want to remove the tags. Check your hair and if you need to, get a haircut. It needs to be neat and not oily. The more preparation you put into an interview, the better your chances of doing well. If you can, eat in your pyjamas, not your interview attire and be sure to brush your teeth afterwards -- maybe even use some mouthwash for extra fresh breath. Avoid smelly foods like garlic, sardines etc. Get dressed and make sure that you put deodorant on and brush your hair. Check your shoes to make sure that they're shiny and get someone else in your family to look over you carefully. Before leaving the house, do a very careful check of everything. Make sure that you have your Resume/CV and portfolio folder. Make sure that you have the address of the place you're going to and the name of the person you're supposed to see. If you can pack your bag the night before this is much better. Make sure that you have money for public transport, plus a little for emergencies. You'd be surprised how often an emergency, like a sudden downpour or a broken shoelace, can occur on interview day. The key is to relax as much as you can, leave yourself as much time as possible and have enough money to problem-solve on the run. -- or for a laugh you can use it as an example of how you handled a difficult situation. Once you arrive at the approximate destination, make sure that you check yourself carefully in the mirror just before your interview. Don't use the toilet at your prospective workplace. If you can't find a public toilet, consider catching an elevator to a different floor or walking into a hotel -- they often have toilets on the ground floor. Spend time washing your hands carefully with soap. Remember it's about the smell of soap as much as it is about being clean. Look carefully at your skin, particularly at your mouth and make sure that there's no food there. Many people on the spectrum don't feel food on their faces, so it's important to spare yourself the embarrassment. Check to make sure that your clothes are neat and tucked in. Try to be as calm as you can. If you need to listen to a little music or close your eyes, do this ... but not while you're waiting at your prospective workplace. When you go into an interview, you need to be prepared for a lot of contact, which for people on the spectrum can be really difficult. 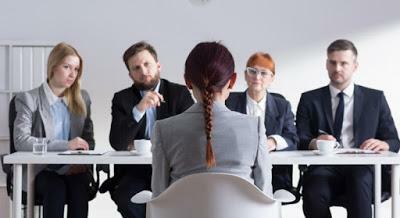 To give yourself the very best chance, make sure that you have as much quiet/disconnected time as possible in the lead up to the interview -- even if it means that you need to sit in a park or in the toilet to get away from people. You'll be expected to give a lot of eye contact, so if you find this is too difficult, look at people's mouths or hair. Try not to look behind them because people notice that and definitely try not to look below the mouth as people, particularly females, will find this offensive. Interviews today often consist of several people so be prepared to have to deal with two or three people at once. If you're lucky, the interviewers will give you their business cards. If that happens, put them on the table in front of you in positions which vaguely correspond to the positions in which they're sitting (try not to make this too obvious). Having the cards in this position means that you can easily glance down if you forget someone's name. Sometimes interview panels seem to be set up to make you fail. Oppression can indicate toxic company culture. Some jobs aren't worth the work. Use your portfolio well. It's a great distraction tool. If someone asks you about "a time when you handled a difficult situation", talk about it for a while and then (hopefully) you'll have something in your portfolio that backs this up, even if it's just a page with a little more detail on it. Open the portfolio and put it in front of the interviewer. They may take it, or they might not. That's okay. If they do take it however, that's one less set of eyes on you and it means that you can devote more time to another interviewer for a short while. When the interview is over, be sure to thank the people for considering you and after perhaps a day or so, send them a follow-up email just to say thanks and to say how excited you are for the opportunity. Sometimes that follow up is enough to remind them of how good you were. Unless you're going for a job where the employer is fully aware of your autism, or you feel that you're likely to experience frequent sensory issues in the job, it's best not to disclose at the time of the interview. It's usually better not to talk about your diagnosis for the entire first year of the job. Give them a chance to accept you for who you are first. If you still can't find work, you can benefit from talking to careers advisors who can look at your goals and achievements and advise you whether or not the jobs you're seeking are within reach -- and where you should start. You might also want to look at the options available from companies who hire people with autism. I agree that it feels a little offensive to have to seek work in places who hire for these reasons but if it gets you a FIRST job, you can always move onto another place once you have a bit more experience. You don't necessarily have to tell your next employer that the first job was via an autism agency -- and if you get on well with your references, you can ask them not to mention it.